I’ve said since the whole Confederate flag controversy blew up that it’s just one small step from taking down flags and removing statues to full-blown censorship. 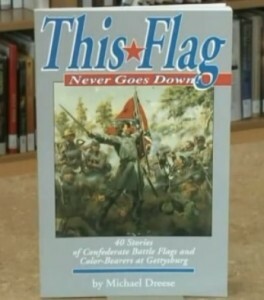 The online retailer recently removed This Flag Never Goes Down, a non-fiction book about the Confederate battle flag by historian Michael Dreese. Dreese said the book simply tells the story of the flag. “I’m not really for it or against it,” he said. Of course, Amazon has the right to sell what it wants, but the move represents a disturbing societal trend – destroy and hide what might offend. Although less dramatic without smoke and flames, Amazon’s move was nothing less than cyber book burning.